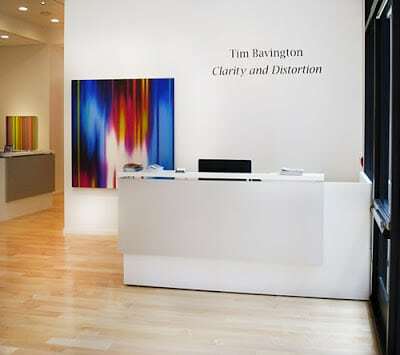 Clarity & Distortion exhibits recent work by Las Vegas artist, Tim Bavington. 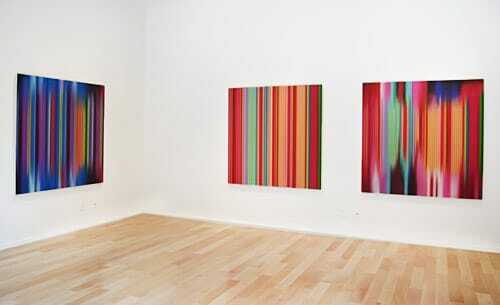 Within the show, Bavington’s traditional paintings of vertical lines are complimented by versions of distortion. His works are born from musical inspiration, created in correspondence to the twelve notes on the melodic scale. 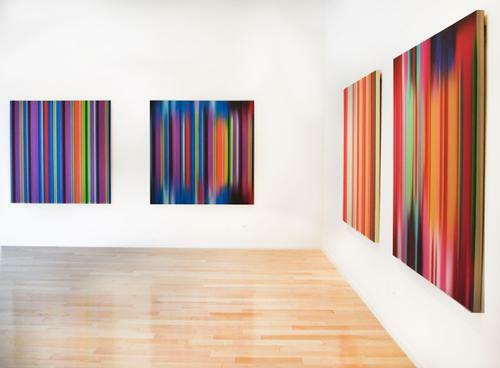 His paintings seem to sing, as airbrushed lines mimic revered tunes and compositions. Each pair of striped and distorted canvases reflects one of the songs from the following list: ”Fools Rush In” by Johnny Mercer, “Slippin’ & Slidin’” by Little Richard, “Magic Pie” by Oasis, ”Susie Q” by Dale Hawkins, “Where Eagles Have Been” by Wolfmother, and “Into Tomorrow” by Paul Weller. 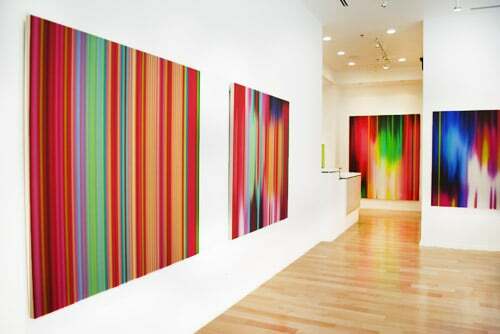 Clarity & Distortion will be on view through April 13, 2012.